Make no mistake, CelebriGum's reach is global. I have the ability to see where hits are coming from, and while the majority are from the U.S., Canada, the U.K. and Europe, and Australia, this site also gets visitors from the Far East, Africa, South America, the Middle East, and other exotic locales. 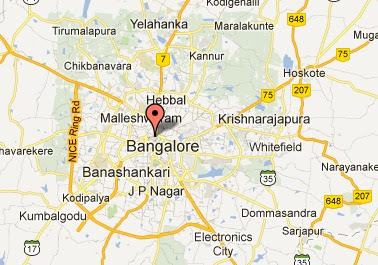 A couple days ago I noticed that someone in Bangalore, India had taken a look at CelebriGum. I thought I'd honor this far-flung mystery visitor by posting this entry about "NCIS" star Michael Weatherly in Hindi. माइकल Weatherly स्वर्गीय दिखाएँ का दौरा करने के लिए NCIS, अमेरिका के सबसे लोकप्रिय टेलीविजन कार्यक्रमों में से एक को बढ़ावा देने के. टोनी DiNozzo के रूप में, माइकल सेना के भीतर आतंकवादी भूखंडों और अपराधों की जांच करता है. शायद वह कैसे गोंद का टुकड़ा है कि पांच साल के लिए खिड़की के कगार पर बनी हुई है की जाँच करनी चाहिए! यह एक असली रहस्य है! आप में से जो लोग वास्तव में अंग्रेजी में यह सब वापस अनुवाद परेशान के लिए, मुझे आशा है कि यह इसके लायक था! Wow, nice job, Google Translate. Let's see how it does translating my comments into Kannada, the other main language spoken in Bangalore. Kannada is one of the options, so it should work. ಮೈಕೆಲ್ ವೆದರ್ಲಿ NCIS, ಅಮೆರಿಕದ ಅತ್ಯಂತ ಜನಪ್ರಿಯ ದೂರದರ್ಶನ ಕಾರ್ಯಕ್ರಮಗಳ ಒಂದು ಉತ್ತೇಜಿಸಲು ಲೇಟ್ ಶೋ ಭೇಟಿ. ಟೋನಿ DiNozzo ಮಾಹಿತಿ, ಮೈಕೆಲ್ ಮಿಲಿಟರಿ ಒಳಗೆ ಭಯೋತ್ಪಾದಕ ಪ್ಲಾಟ್ಗಳು ಮತ್ತು ಅಪರಾಧಗಳ ತನಿಖೆ. ಬಹುಶಃ ಅವರು ಗಮ್ ಆ ತುಂಡು ಐದು ವರ್ಷಗಳ ವಿಂಡೋ ಕಟ್ಟು ಮೇಲೆ ಉಳಿದಿದೆ ಎಂಬುದನ್ನು ತನಿಖೆ ಮಾಡಬೇಕು! ಇದು ನಿಜವಾದ ವಿಸ್ಮಯ! ವಾಸ್ತವವಾಗಿ ಇಂಗ್ಲೀಷ್ ಎಲ್ಲಾ ಈ ಹಿಂದೆ ಭಾಷಾಂತರಿಸಲು ತೊಂದರೆಯಾಗಿತ್ತು ಯಾರು ನೀವು ಆ ನಾನು ಅದು ಬೆಲೆಗಿಂತ ಭಾವಿಸುತ್ತೇವೆ! I'm no linguist, but I don't think that's right. Though Kannada is one of the language options on Google Translate, apparently they were hoping nobody would actually choose it. Although if it is right, wow, what an incredibly easy, and incredibly difficult, language. The tenth season of NCIS starts Tuesday, September 25th, on CBS. Yeah, like it needs any help from me. UPDATE: I just noticed that depending on what kind of browser or computer you use to view CelebriGum, you might actually see Kannada, or a long string of little rectangles. When I wrote the entry on my MacBook Pro, all I was getting out of Google Translate for Kannada was little rectangles. Hence my dismissive remarks. Maybe you're seeing the real language if you're using Firefox? Totally worth it! Thanks for finally fulfilling my wish and posting your photo of handsome Michael Weatherly. Is he holding his passport? That would really be staying on topic. I remember you were asking about Michael a few months back. Thanks for your patience. I don't think that's his passport. It seems to be directions to your house. Have fun! It's a real language. 70 million Indians speak it. Who knew? Once again, CelebriGum is your source for info-mation. Oh s%#* can you tell where I'm logging in from? Are you the one in Belize? If you Belize in yourself, anything is possible! Uh, yeah, Belize, that's it - Belize! Actually, I live in the disputed zone between Ethiopia and Eritrea. Technically I'm a man without a country. I like that city called Electronics City. I noticed that too. I wonder if some Indian version of Jan and Dean have done: "Yeah we're going to Electronics City, cause it's two to one, going to Electronics City, gonna have some fun..."
Sorry, but you're going to have to translate that for us here in Bangalore.